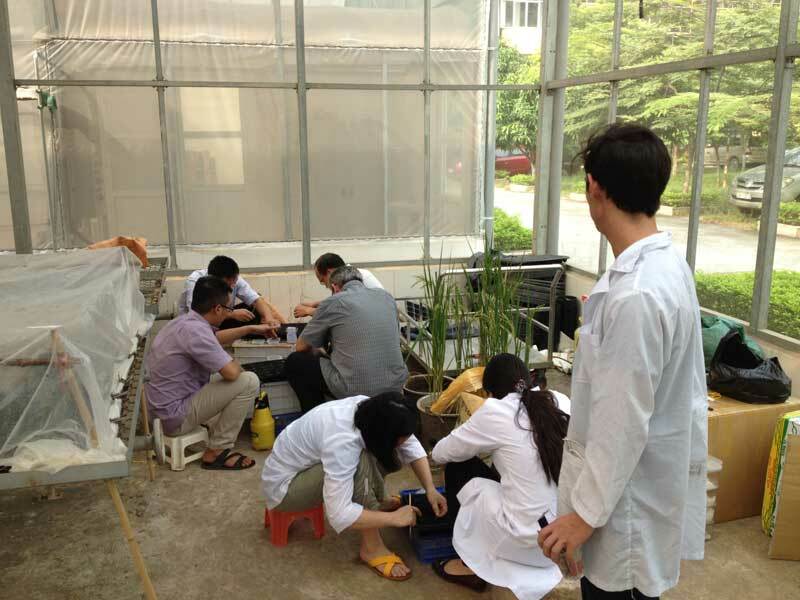 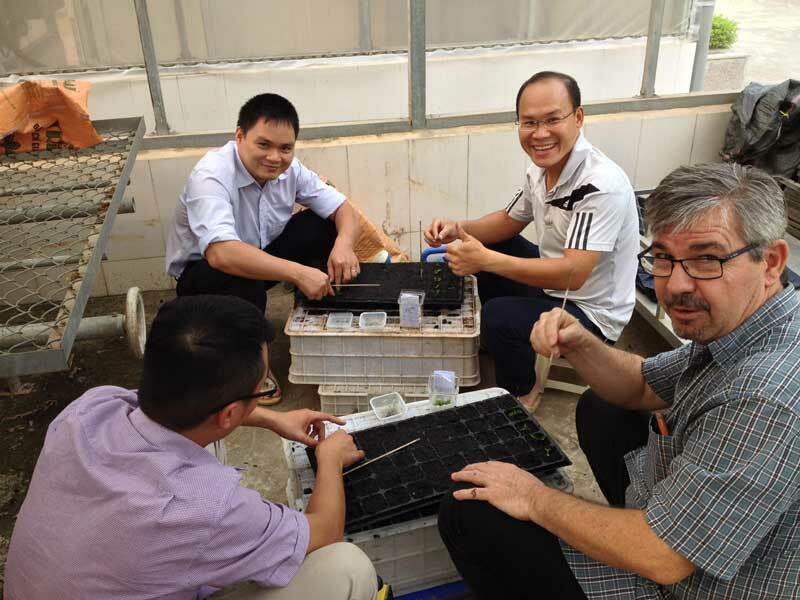 In October 2017, Hervé ETIENNE (Cirad) spent a week in Hanoï (Vietnam) to participate to the Kick-off meeting organized with the Vietnamese partners and to visit the local research facilities. 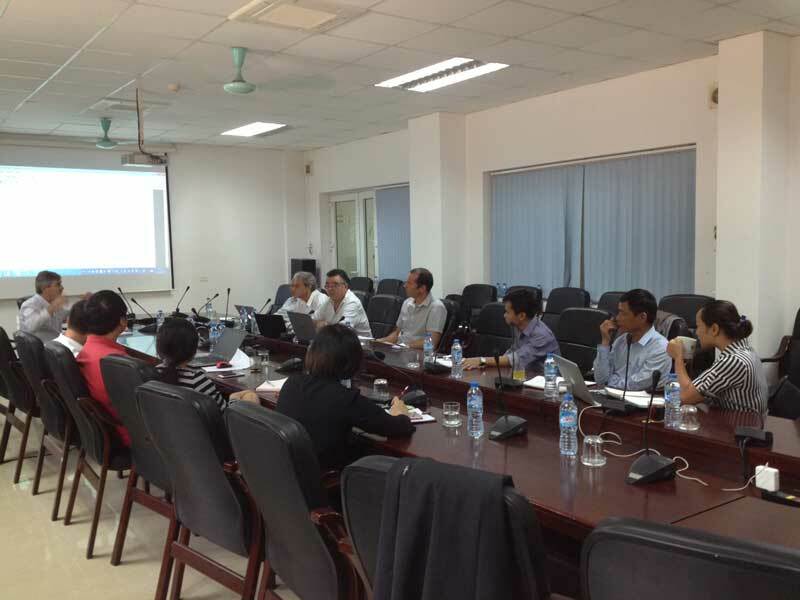 The Hanoï Kick-off Meeting (KoM) has enabled the partners to share views on the work programme and to foresee the best way to complete it. 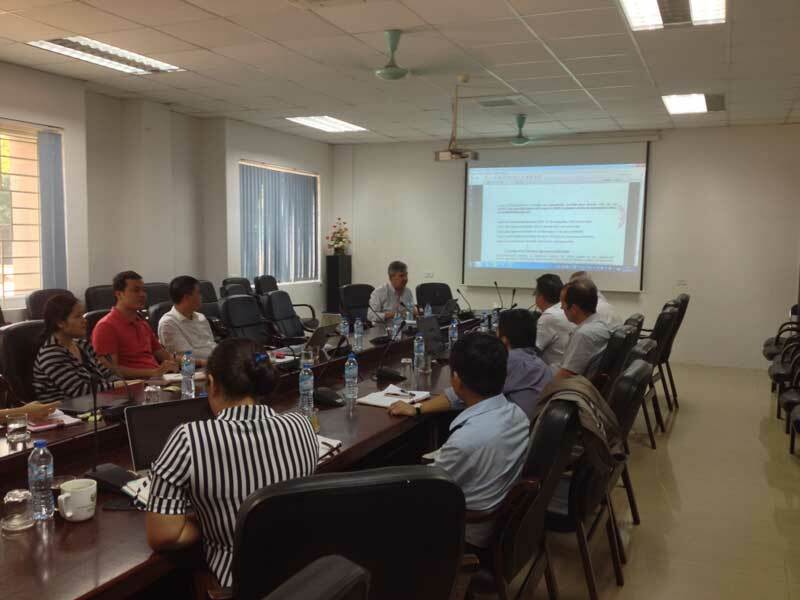 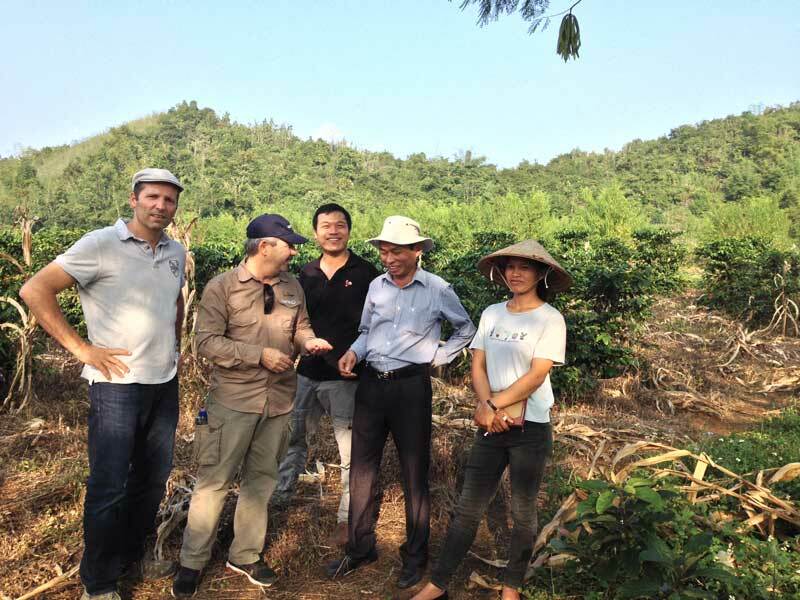 Philippe Vaast highlighted the main objectives of the KoM and focused on the need to build a BREEDCAFS team spirit in Vietnam and to discuss among partners the technical points required to launch activities in the various Work Packages (WP). 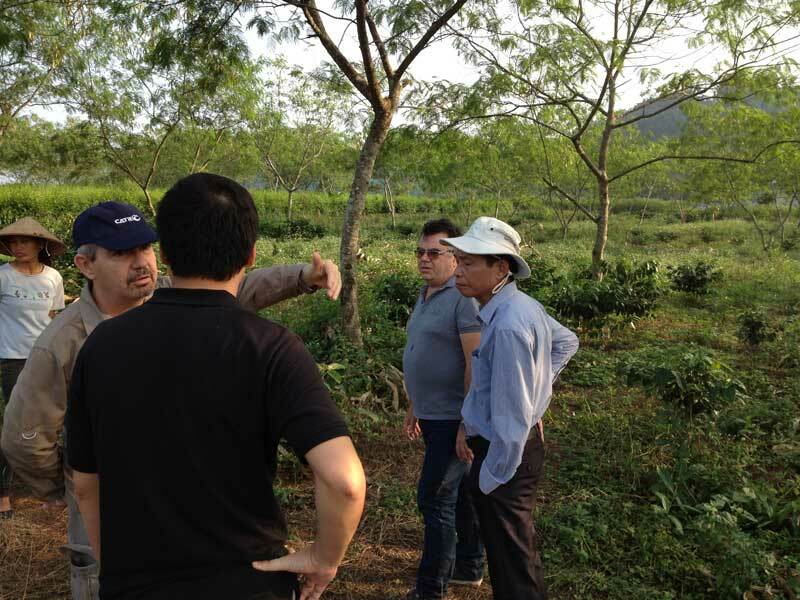 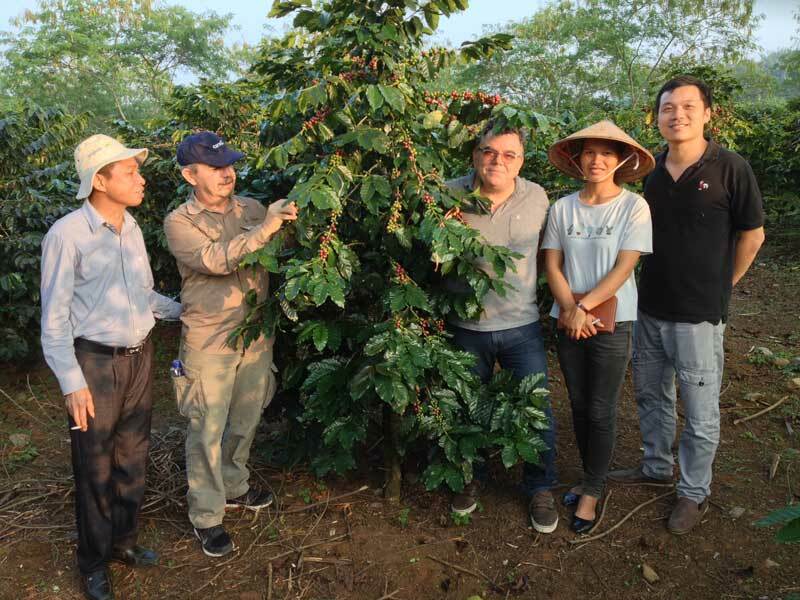 Vietnamese activities will address research issues of Work Package 1 (Understanding coffee responses to biotic and abiotic stresses) and 3 (On-farm assessment (performance and profitability). 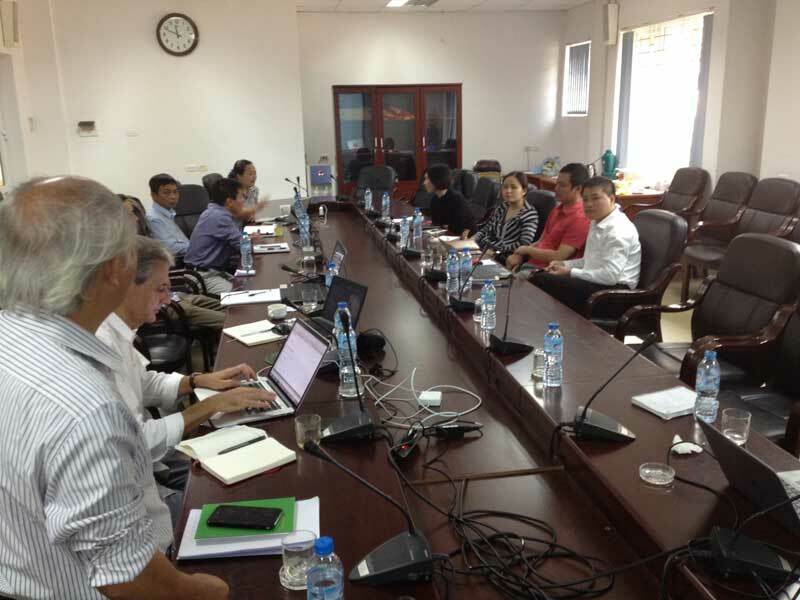 13 researchers representing 5 institutions has taken part to the event: Dr. Pham Hong Hien (VAAS) Dr. Do Nang Vinh (AGI) Dr. Nguyễn Thanh Đức (AGI) Mrs. Nguyen Thi Thanh Hai (Nomafsi) Dr. Hervé Etienne (Cirad- vice coordinator of BREEDCAFS) Dr. Philippe Vaast (Cirad) Dr. Pierre Marraccini (Cirad) Dr. Huang Thi Giang (LMI RICE) Dr. Mai Thi Phuong Nga (LMI RICE) Mr. Benoit Duong (LMI RICE) Closer to the operational work, the field trip has permitted to observe that the routing of the coffee hybrids imported from France and USA had gone safely: they have reached the AGI premises where they have been acclimatized in greenhouse. 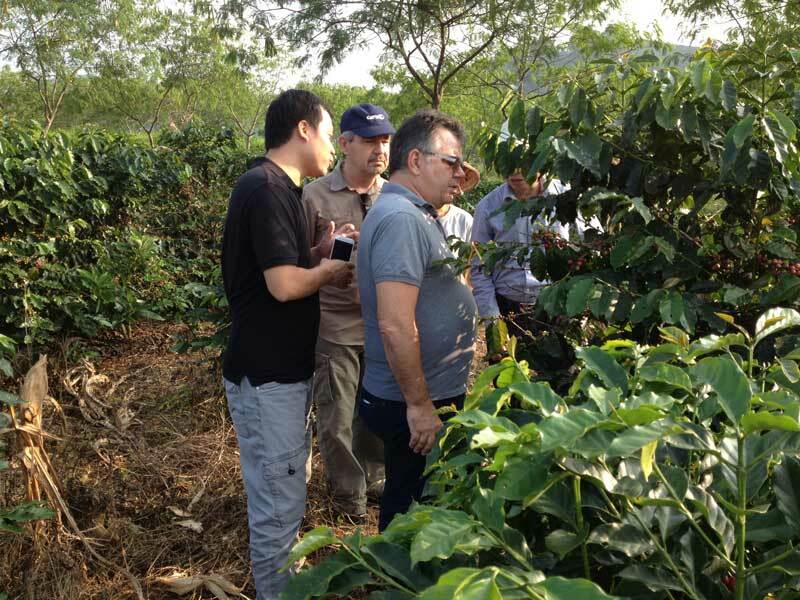 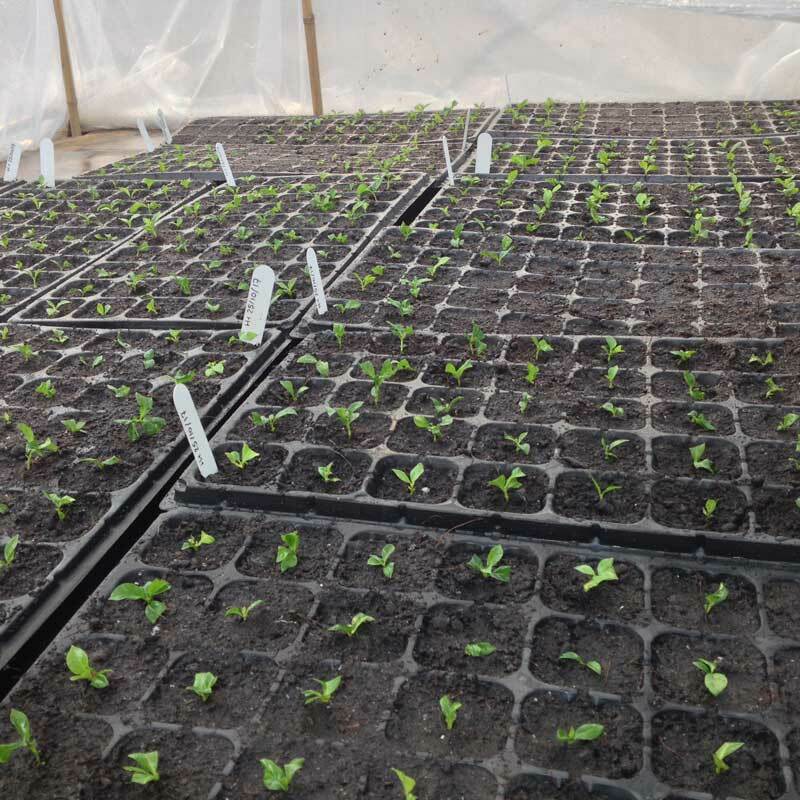 Once the coffee plants will have grown they will be moved to the Son La station where cultivable plots have already been prepared to host them.